Workers’ compensation, or workers’ comp, is a form of insurance that all employers with four or more employees or that work in construction must have. Workers’ compensation provides wage replacement and medical benefits to employees who are injured at work or because of work. If you are injured at work—or sustain certain repetitive injuries because of your work—you are likely entitled to workers’ compensation. Workers’ comp is an extensive subject with many rules, guidelines, and best practices. Because there is so much involved, we have decided to do a two-part series about the two main aspects of workers’ comp: medical benefits and lost wages or indemnity benefits. This is the first part of the series, covering medical benefits. As the name suggests, medical benefits cover doctor’s care, prescriptions, surgeries, and other medical procedures. Before you start seeing a doctor, make sure to follow the right steps or your care might not be covered. In fact, in order to ensure that you are covered under workers’ comp, make sure to follow these five guidelines. Once you have requested medical care—which you must do within thirty days or your claim may be denied because of untimely reporting—your employer must authorize a doctor or medical care provider for you. It is imperative that you go to a doctor who is within your employer’s network or your care will not be covered. Under the law, employers are not required to pay for medical care—except in cases of emergency care—that was not authorized by them ahead of time. Going to a doctor that was not approved by your employer will mean that you do not receive coverage, and testimony from an unauthorized doctor will not hold up in court. 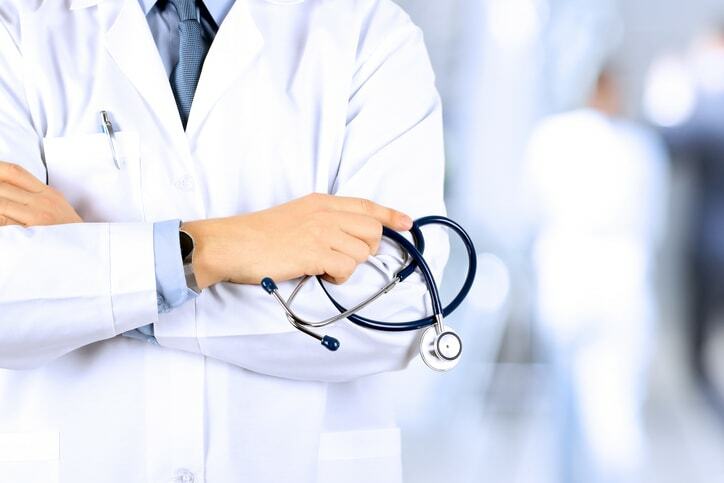 In some cases, an insurance agent or employer who is unhappy with your doctor’s opinion will try to coerce you into seeking other opinions, or “doctor shopping.” This is not allowed in most cases and you are within your rights to refuse. In fact, you should not see another doctor or medical caregiver without clearing it with an attorney first. The exception to this would be if your doctor refers you to another doctor—for example if a general practitioner refers you to a surgeon or specialist. There may be cases in which you may go to another doctor or physician but only do this after discussing it with your attorney. Doing so may cause you to lose your coverage and waive your claim, so make sure to speak to an attorney about it before you do so. Once you have found a doctor, workers’ comp entitles you to coverage for “reasonably medically necessary” care. This means that any medical treatment, service, or supplies that will treat or cure your injury are covered. If you were sick, injured, or had a condition before your workplace accident, you will need to prove that the accident was the major contributing cause (MCC) of the condition and NOT your pre-existing condition. Workers’ comp will also pay to test for what is known as a “differential diagnosis.” This testing is designed to ensure that the symptoms you are having are not related to your injury, but rather the symptoms are a result of a different condition that may not be work-related. It is important to understand that workers’ comp only covers you so far. Maximum Medical Improvement, or MMI, is a medical term that refers to the time in your treatment that further care will aid in your recovery. With some injuries, there comes a point in treatment where the doctors can no longer make improvements to your condition, at which point your employer is no longer required to pay for your care. Once you reach MMI, you may still visit the doctor or medical professional, but you will have a copay of $10 per visit in order to receive your care. If at any point in your treatment you start to receive medical bills, forward them to your attorney immediately. Do not ignore the bills or assume that they are getting paid by your employer’s insurance. As you can see, workers’ compensation is complex. It is important to follow the rules set forth by the law and your employer in order to receive your benefits. If you need legal advice on your workers’ compensation claim, contact C.W. Smith, Public Attorney. Do You Have the Right Automobile Insurance Coverage? Living in Florida, it is extremely important to have the right automobile insurance coverage to protect you, your loved ones and your property. Florida is in the top five states nationally for uninsured drivers with a recent study showing over 23% of Florida drivers to be uninsured. The percentage of drivers in Florida who do not carry Bodily Injury or “BI” coverage may, however, be much higher as Florida law does not require drivers to carry BI coverage. The minimum coverage required by Florida law to license a vehicle is $10,000.00 in Property Damage coverage and $10,000.00 in Personal Injury Protection or PIP coverage. Some people mistakenly think this is “full coverage”, but this is just the bare bones minimum of auto coverage required. This means that being involved in a motor vehicle collision in Florida, it is highly likely that the at-fault driver will not be carrying enough insurance to cover you and your family for your injuries and damages. Minimum Coverage in Florida – The minimum automobile insurance coverage required in Florida is $10,000 in Property Damage (to cover other vehicles and property damaged by your negligent operation of your vehicle) and $10,000 in Personal Injury Protection or PIP coverage. THIS IS NOT FULL COVERAGE but is bare bones coverage which you should only have if you simply cannot afford anything else (and even then is not recommended). Collision Coverage – Collision coverage is the coverage that insures your own vehicle from damage caused by your own fault or by an uninsured or underinsured driver. If you have a loan on your vehicle, this will likely be required by your bank or credit union to make sure that the vehicle you are paying off can be fixed after an accident. Unless your vehicle is worth less than your insurance premium, and you can afford to replace your vehicle, you should be carrying collision coverage for your vehicle. You should not carry a deductible larger than you could afford to pay on short notice to have your vehicle repaired, although raising your deductible will lower your premiums. Comprehensive Coverage – Comprehensive coverage insures your own vehicle for losses other than a motor vehicle collision, such as theft, vandalism, fire, or flood. If you carry comprehensive coverage, windshield damage and replacement without a deductible are included under Florida policies. Unless your vehicle is worth less than your insurance premium, and you can afford to replace your vehicle, you should be carrying comprehensive coverage for your vehicle. Property Damage Coverage usually applies whether you are driving your vehicle or another vehicle and you negligently cause damage to another vehicle or property (not your own vehicle). A minimum of $10,000 is required on Florida policies, but it is recommended that you carry coverage of at least $50,000 per vehicle or $100,000 per accident. With that coverage, you would have up to $50,000 in property damage coverage per vehicle and up to $100,000 per accident (if there were 2 or more other vehicles or buildings involved). More insurance is a good idea if you can afford it – this is just a minimum recommended. Although you should make sure that you have enough insurance coverage, going with only minimal property damage coverage is a bad idea as your license and vehicle title will likely be suspended and other insurance companies will likely take a judgment against you for any additional property damage caused by you for which you did not carry sufficient coverage. GAP Insurance Coverage – GAP coverage is just that; it covers the gap in between the value of your vehicle at the time of a collision and what you still owe on it. Given the significant drop in the value of many vehicles driving them off the car lot, GAP coverage is often a good idea if you are not putting much down on a loan or are “upside-down” or “underwater” on a loan (owing more than the vehicle’s value). Replacement coverage is also often available which would provide enough coverage to buy an equal or better vehicle if your vehicle is totaled, but it is not the same as GAP coverage and can still leave you upside down on a loan. Personal Injury Protection or “PIP” Coverage – Although required by law, there are changes which can be made to the general PIP coverage which you can purchase. The general PIP coverage is for up to $10,000 in related lost wages and reasonable and related medical expenses when an emergency medical condition or EMC exists. This is a combined total of $10,000 and not $10,000 for each and PIP pays at 80% of medical expenses and 60% of lost wages up to that $10,000 total. Many policies now define reasonable as 200% of Medicare rates for medical expenses, but that will depend on the insurance company with whom you shop and their policy language. If no authorized medical doctor has declared an emergency medical condition or EMC from the accident, then PIP can be capped at $2,500 of medical expenses paid by the insurance company but some companies ignore this restriction. 14 Day Treatment Requirement – Please note that if you fail to treat within 14 days of your accident, your insurance company will likely deny PIP payment of your medical bills related to your accident as the statute requires medical treatment within 14 days of the accident. PIP Deductibles – It is still possible to get a $500 to $2,500 deductible on your PIP coverage (meaning that losses must exceed that number before PIP pays anything), but it does not save you much money and is generally a bad idea because it will leave you responsible for those bills up front and can affect your ability to obtain a doctor. Waiver of PIP Wage Loss – You can waive PIP wage loss benefits as part of the coverage, which if you carry short term and long term disability insurance or do not work can reduce the cost of your insurance, but it is otherwise not recommended. Medical Payments or MedPay Coverage – MedPay pays in a supplement to PIP medical payments and if you do not have health insurance it is a good idea to carry $5,000 to $10,000 in MedPay, but be sure to read the fine print on MedPay coverage as it varies from company to company. It is not statutorily required so there can be many limitations placed within the policy on MedPay coverage, including a requirement of an EMC to obtain it. The restrictions placed on MedPay coverage by a few insurance companies make it not worth the expense. Bodily Injury or BI Coverage – BI coverage covers physical injury caused by you or someone driving your vehicle to other people and is actually not required in the State of Florida, except for some drivers who have been convicted of a DUI. As the at-fault driver’s insurance, and to a limited extent the owner of the vehicle’s insurance if different, pays for the damages caused to other individuals due to negligence, it is important to carry sufficient coverage to protect you and your family. Although more coverage is recommended, a minimal amount of BI that should be carried is $50,000 per person and $100,000 per accident. Please note that not carrying any BI coverage is a bad idea because you are likely to face a lawsuit and judgment either from the other driver or their insurance company (if they paid MedPay or UM benefits to their insured and you were at fault for the collision). If you carry BI coverage, you should also be provided with a legal defense to any such lawsuits against you to help protect you, but you will be on your own to hire your own attorney out of pocket if you did not carry BI coverage. Uninsured Motorist or UM / Under-Insured Motorist or UIM Coverage – Although often waived by insured, this is probably the most important (and comparatively cheap) insurance coverages you can purchase as it protects you and your loved ones for injuries and damages caused by uninsured and under-insured motorists. Do not ever waive UM/ UIM coverage! Although more coverage is recommended, a minimal amount of UM/ UIM coverage which should be carried is $100,000 per person and $300,000 per accident. Stacked vs. Unstacked Uninsured/ Under-Insured Motorist Coverage – If you own more than one vehicle insured on the same policy you should request that the coverage is “stacked” which essentially multiplies your coverage available based on the number of vehicles insured. Umbrella Policies – If you have substantial assets or are an individual against whom an attorney might consider taking a judgment against, it is a good idea to carry an umbrella policy as this will help cover you against a potential excess judgment above your BI limits. Umbrella policies are comparatively very cheap and can be purchased to provide excess coverage for potential judgments against you. Accidental Death & Dismemberment Benefits – Is self-explanatory and should be included in your coverage if you can afford it. Towing & Rental Vehicle Coverage – If you are a member of AAA and have extra vehicles at home this might not be an important coverage, but towing and rental costs can add up quickly at a time when you are already potentially out of work and incurring medical expenses. It is recommended. Coverage for Vehicle Owner – Note that if you have a minor or family member driving your vehicle, or loan your vehicle to another to use, then you can be liable for any accidents and damages they cause. Although the limits of the damages you can be responsible for are capped by statute in some circumstances, you should be sure to carry no less than $10,000 in PIP, $50,000/ $100,000 in Property Damages and $100,000/ $300,000 in BI coverage on any such vehicle to better protect yourself. BE SURE to disclose all family members and individuals living in your home or residence to your insurance company and to update them with that information in writing whenever it changes. Some insurance companies look for failures to disclose changes in residents at your residence as a basis to frequently deny claims. 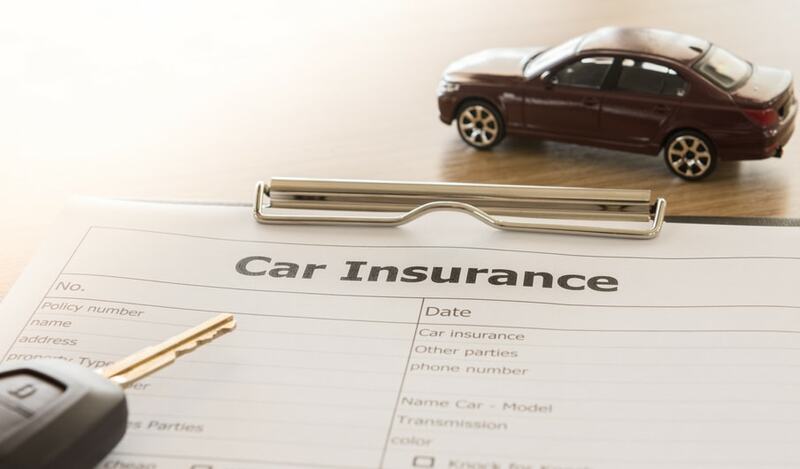 Figuring out the proper motor vehicle insurance coverage for you can be complicated and time-consuming, but it will become a lot more complicated after an accident if you did not get good coverage in the first place. If you are not sure whether your coverage is sufficient, you should ask your agent or insurer for further information. But if you have already been in an accident or become entangled in a legal matter or a dispute with your insurance company, please contact us for the experienced insurance attorney that you need to ensure your rights are protected. Initial phone consultations for Florida personal injury cases and insurance claims are free and most cases can be handled on a contingency. https://www.cwsmithlaw.com/wp-content/uploads/2017/06/iStock_86659797_SMALL.jpg 530 904 Charles Smith https://www.cwsmithlaw.com/wp-content/uploads/2017/06/new-chuck-logo-v6-light-300x72.jpg Charles Smith2016-10-15 10:41:182017-06-18 02:53:36Do You Have the Right Automobile Insurance Coverage?